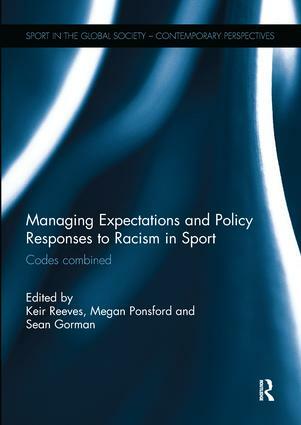 This volume presents research on policy responses to racism in sporting codes, predominantly Australian Rules football, in a global context. While the three guest editors are based in Australia, and their work pertains to the uniquely domestic game of Australian Rules football, the outcomes, research vectors and key issues from this research are part of a much larger on-going international conversation that is equally relevant when considering, for instance, racism in English Premier League football, first class cricket and basketball. The book is an outcome of an Australian Research Council (ARC) funded project titled Assessing the Australian Football League’s Racial and Religious Vilification Laws to Promote Community Harmony, Multiculturalism and Reconciliation,which investigated social participation and the impact of the Australian Football League’s anti-racial vilification policy since its introduction in 1995.